A mother-turned-advocate after her daughter was allegedly murdered by MS-13 was herself killed when she was run over by a driver while setting up for a vigil for her slain daughter. Ray Villeda reports. Evelyn Rodriguez, the Long Island mother who became a vocal anti-gang activist after her 16-year-old daughter was killed in an attack by alleged MS-13 gang members, was fatally struck by a driver while setting up for a vigil to mark the anniversary of her daughter's death, police and friends say. Rodriguez, 50, was setting up the memorial on Ray Court, near Stahley Street, in Brentwood when she got into an argument with someone about where the memorial was being placed, police said. That person, who was a relative of a Ray Court resident, got into a 2016 Nissan Rouge and tried to leave the scene, according to police. The vehicle hit Rodriguez, who was pronounced dead at Southside Hospital in Bay Shore. 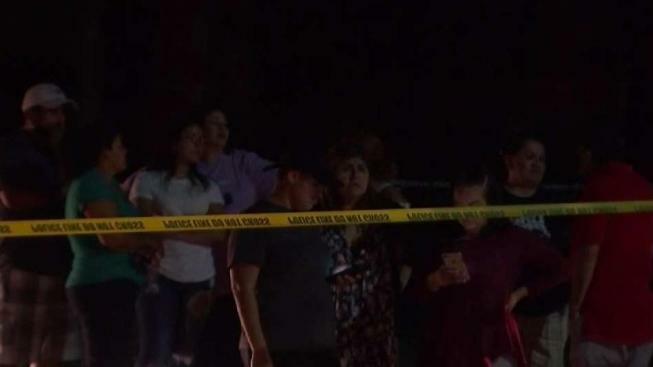 A friend of Rodriguez, Sammy Gonzalez, told News 4 New York that she had been setting up the vigil to mark the anniversary of her daughter Kayla Cuevas' murder when she was run down. 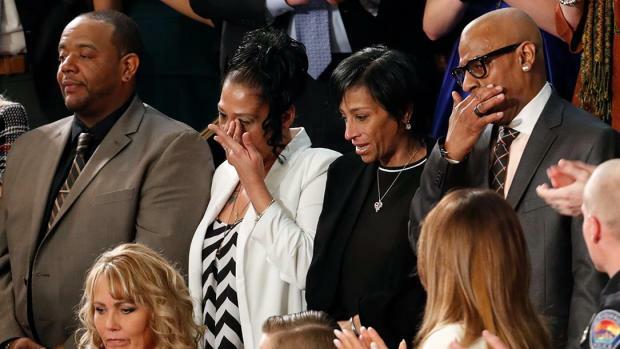 President Donald Trump said "320 million hearts are breaking" for the parents of two Long Island teenagers thought to have been killed by members of the MS-13 gang in 2016. Greg Cergol reports. Police later confirmed Rodriguez was setting up a memorial dedicated to Cuevas and Cuevas' friend Nisa Mickens, who were killed nearby two years ago. The driver stayed on the scene and called 911. Police say they're investigating. Rodriguez's daughter Kayla and 15-year-old friend Nisa Mickens were killed on Sept. 13, 2016. The two girls, best friends, were out for a walk about an hour after sundown on Sept. 13 when four gang members jumped out of a car and killed them with baseball bats and a machete, authorities say. Prosecutors said Kayla was targeted because of ongoing disputes with gang members at her school. They said her lifelong friend, Nisa, was in the wrong place at the wrong time. "I don't know how much horror could come to one woman in the course of her life," said Rep. Peter King (R-Long Island). "She was one of the most courageous people I've ever met." Rodriguez became the face of a grieving Long Island community desperate to rid itself of the violence wrought by MS-13. Rodriguez was invited to Trump's State of the Union address this year amid his push for a nationwide crackdown on gang violence. 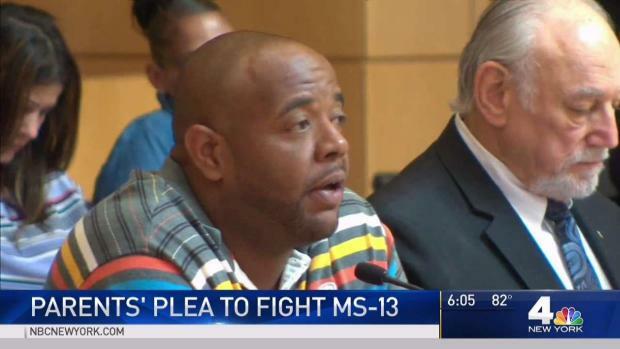 Parents of two New York teenagers brutally slain in an alleged MS-13 killing who have become community leaders since their daughters' deaths last year, appealed to members of Congress on Tuesday to take action to combat gang violence. Lori Bordonaro reports. Rodriguez told The New York Times at the time that she was honored to be invited. "I'm not here for anybody's political gain," Rodriguez said. "I just want what's right to be done. Everybody should put their political agenda aside and think about what's going on in our country." President Trump tweeted his thoughts and prayers to Rodriguez and her family Friday night. In a statement to News 4, Suffolk County District Attorney Tim Sini said, "Evelyn Rodriguez endured unspeakable tragedy when her daughter was murdered two years ago. As a parent, I cannot imagine functioning after the loss of a child, but Evelyn was able to turn that tragedy into a mission for good. "She harvested her grief and used it as a catalyst for positive change on behalf of her community and on behalf of this country," he continued. "She was a fierce advocate for her hometown of Brentwood and was fearless in her fight to put an end to the violence caused by MS-13 to ensure that other parents never have to endure the pain she suffered. "Evelyn is one of the strongest people I have ever met in my life. I am proud to have worked with her and even more proud to have called her a friend. I know I speak for everyone who knew Evelyn in saying that we are truly heartbroken over her loss," Sini said. Thirteen alleged gang members are rounded up and now facing a long list of charges including seven murders. Among the victims, two teen girls. Now their families are reacting to the news. Marc Santia reports. Suffolk Police Commissioner Geraldine Hart said she first met Rodriguez while Hart was working with the FBI and was "immediately impressed by her strength and perseverance." Hart and Chief of Department Stuart Cameron said in a joint statement, "The death of Evelyn Rodriguez is a true loss for the Suffolk County Police Department. Evelyn turned the tragic loss of her daughter into a driving force to become an outspoken voice against gang violence."